Anarchy in the UK: What is going wrong in the Labour party? Theresa May has been forced into a last minute gamble to save her Brexit deal—talking to the opposition. The Prime Minister is meeting with Labour leader Jeremy Corbyn to try and find a deal that could pass a vote in the increasingly chaotic House of Commons. In response, she faced attacks from prominent members of her party such as Boris Johnson who still believe there is “no need to extend the Brexit process”. Any agreement will have to pass the House of Commons, which has so far failed to pass Theresa May’s deal three times, primarily due to disagreements in her own party. Multiple rounds of indicative votes have produced no consensus. Power rests in the hands of a divided house, and as a result, the internal fractions that have been forming inside both the major parties have led to three Conservative and eight Labour MPs resigning to create a new pro-EU outfit called Change UK – The Independent Group. The divisions produced by Brexit are not confined to Westminster. As the Conservative party publicly falls further into civil war, Labour is following their lead behind the scenes. Uncertainty is growing in all levels of the political system, leading many party members to question the goals of the party they have supported for years. 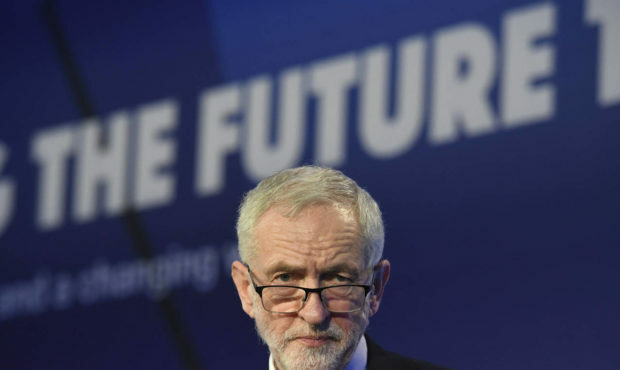 This could prove problematic for Jeremy Corbyn, who was elected party leader under the promise that the party’s activist grassroots members would regain a hand over policy decisions. Chapman pinpoints the election of Jeremy Corbyn as the party leader in 2015 as the point at which the party began to split. Corbyn, a self-proclaimed democratic socialist, spent many years on the fringe of the Labour party, but as the leader he has gained plenty of support from some members, especially following Labour’s unexpected success in the 2017 snap election. His radical positions have invigorated a new generation of motivated young activists, who are sick of the restricted spending and tax increases born from Conservative austerity and ready for radical change while isolating the more moderate members. By far Corbyn’s biggest problem, however, are the consistent allegations of anti-Semitism flowing out of the Labour party. In response to the resignation of Jewish MP Joan Ryan, the Young Labour Twitter account posted: “Joan Ryan gone, Palestine Lives”. Chapman states that this was the point he realized that he no longer held the shared values of the labour party. This trend is clear within Corbyn’s supporters as well; Jewish MPs receive near-constant anti-Semitic with female Jewish MPs experiencing disproportionate misogyny. Despite repeated reports and debates in the House of Commons, little practical action has occurred. The abuse was severe enough that Luciana Berger, a Jewish, former Labour MP received so many death threats for speaking out against the abuse that she brought bodyguards to the 2018 party conference. The rise in online abuse in the Labour party has been linked by many to Momentum, a left-wing activist group closely affiliated with Corbyn’s policies. The organization was established out of the grassroots structures that supported Corbyn in his 2016 leadership challenge. It’s 42,000 members now make up almost 10 percent of Labour membership, and for many, it exemplifies a resurgence of the militant tendency. They use low-budget, viral media to spread their message, which is focused on unseating conservatives in marginal seats, as well as on Labour members who are seen to be too centrist. This understandably creates tension between the centrist wing and left wing of the party. 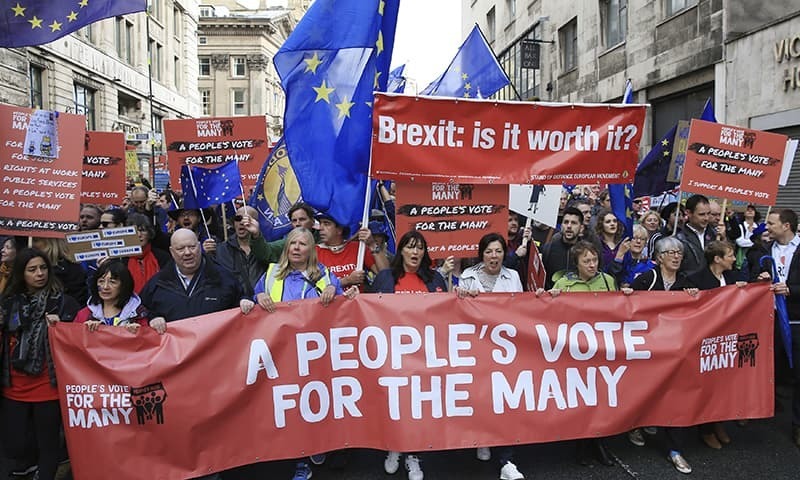 Recent research shows that 89 percent of Labour members believe that the UK was wrong to vote the leave the EU and 72 per cent were in favor of a fresh referendum on Brexit. Officially the party supports a second referendum, but most of the party’s leadership are deeply skeptical, or outright opposed to the move. This puts the leadership in opposition to its members, going against Corbyn’s election promise. Lack of trust in the leadership will have wider reaching consequences than Brexit. Come to the next election, whenever that may be, party manifestoes will not be centered around the party’s Brexit policies, they will be focused on jobs, housing and the NHS just as they were in the snap 2017 election. If the leadership lose the trust of their more centrist members and grassroots activists it will make it much harder for them to regain control of parliament. If the conflict within the Labour Party is any guide, the public’s relationship with their representatives has been irreparably damaged. The House’s confidence in the government has also degenerated significantly, as Theresa May indicated following the third defeat of her Brexit deal on March 29th, the day that the UK was supposed to leave the European Union. Britain is ‘reaching the limits of the process as it stands.’ As the indecision continues, either a General Election or second referendum on Brexit becomes increasingly likely. If Britain returns to the polls, all parties will be forced to silence any internal dissent and articulate precisely where they stand on a number of dividing issues if they have any chance of them being successful. The next few months will be crucial for the future of British politics, the outcome is still undecided, but the signs are far from encouraging.